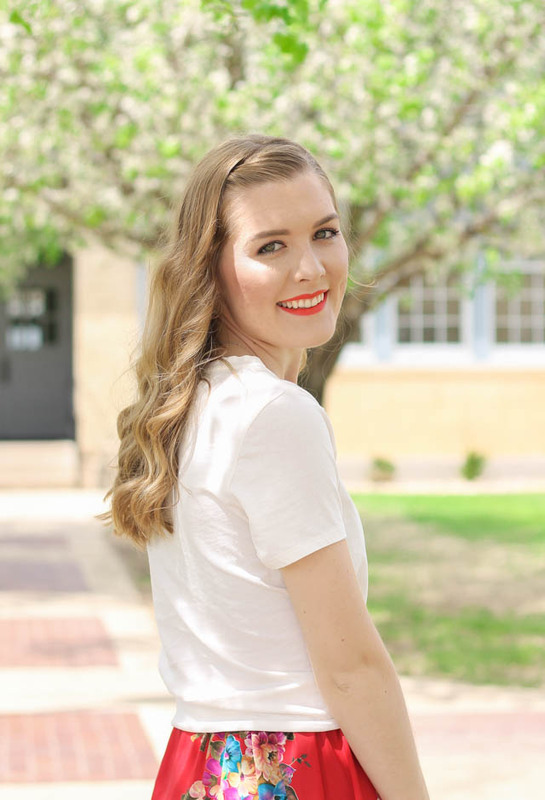 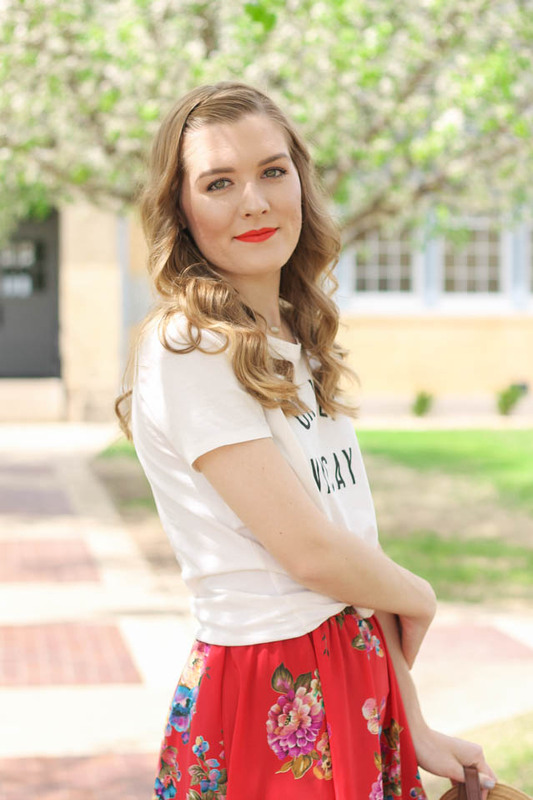 When I find a fun graphic Tshirt I am always thinking about new ways to style it. 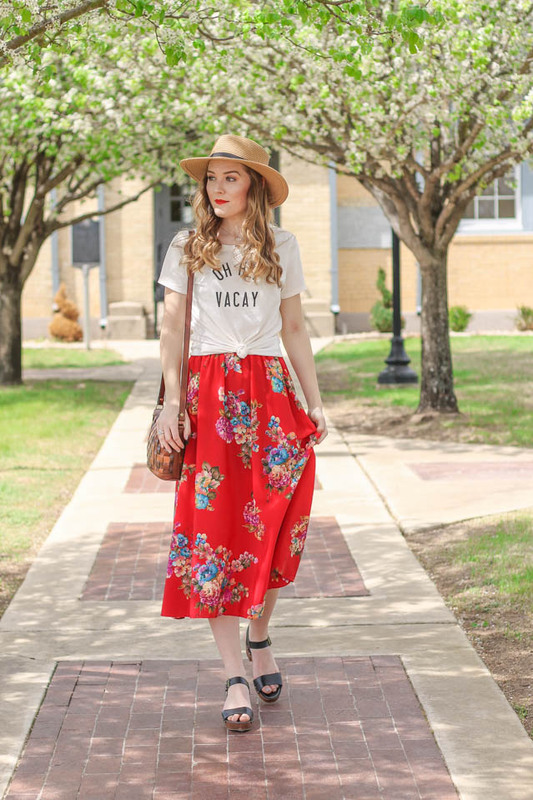 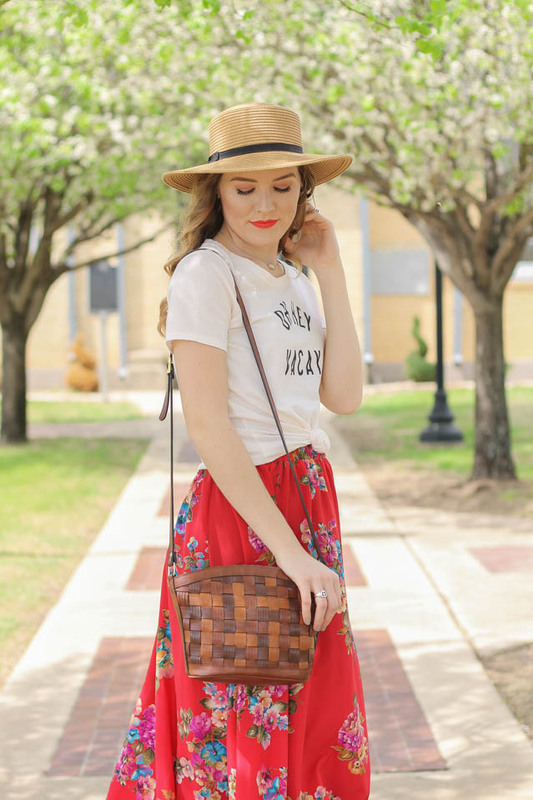 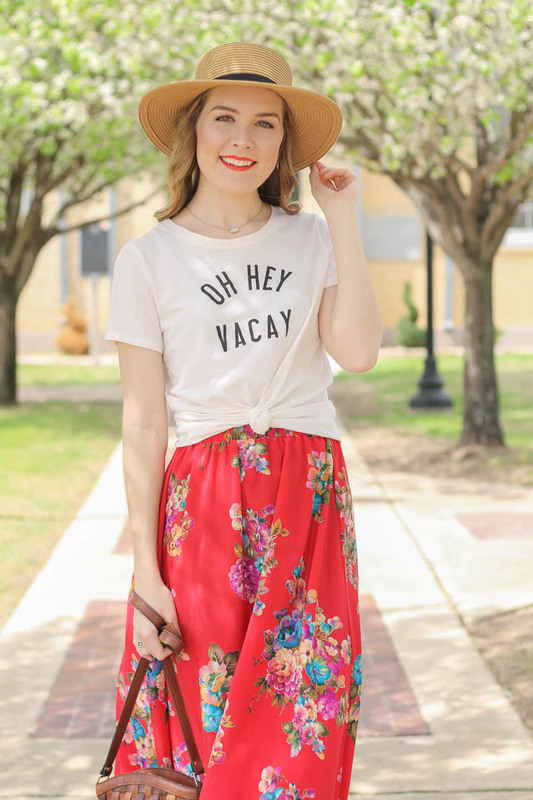 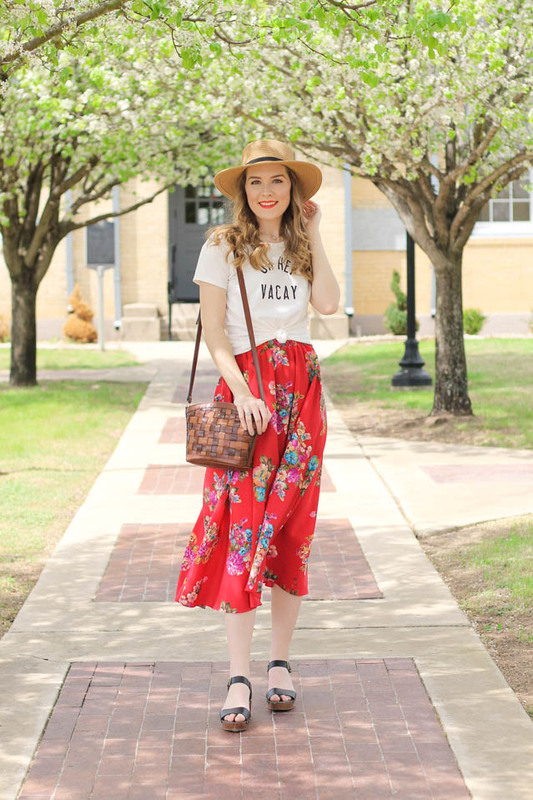 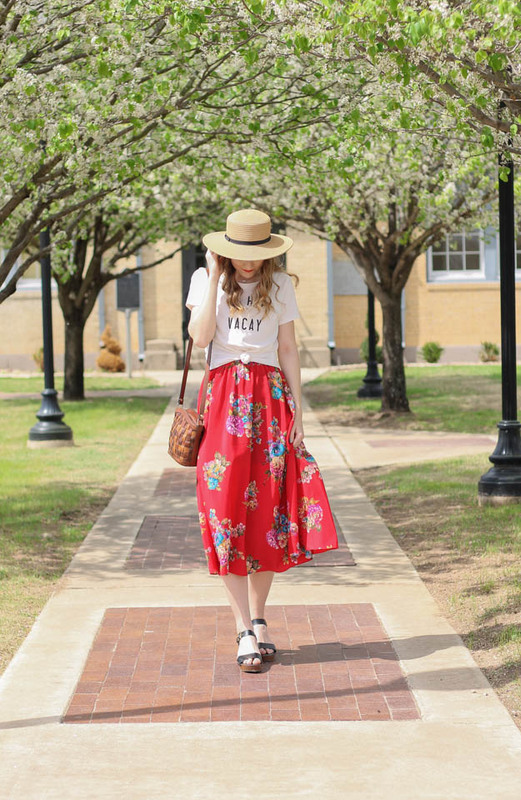 I always love to dress up graphic Tshirts and pairing this "Oh Hey Vacay" shirt with one of my favorite floral skirts seemed perfect! 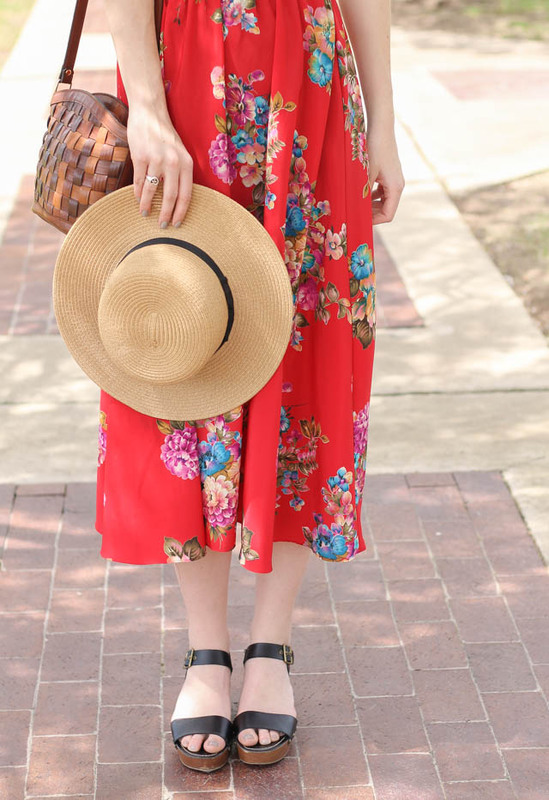 Since I wanted to keep the look fun and a bit modern I decided to wear a pair of black clogs and one of my boater hats. 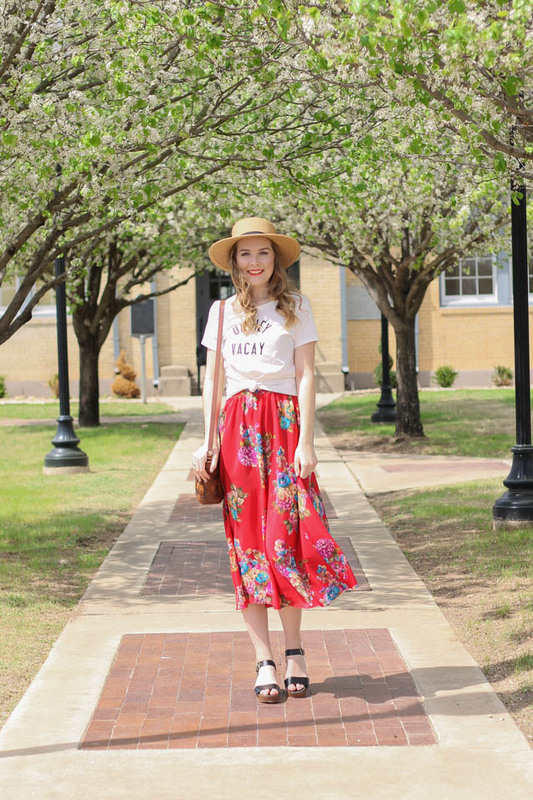 I think looks like these will be on the repeat this spring and summer! 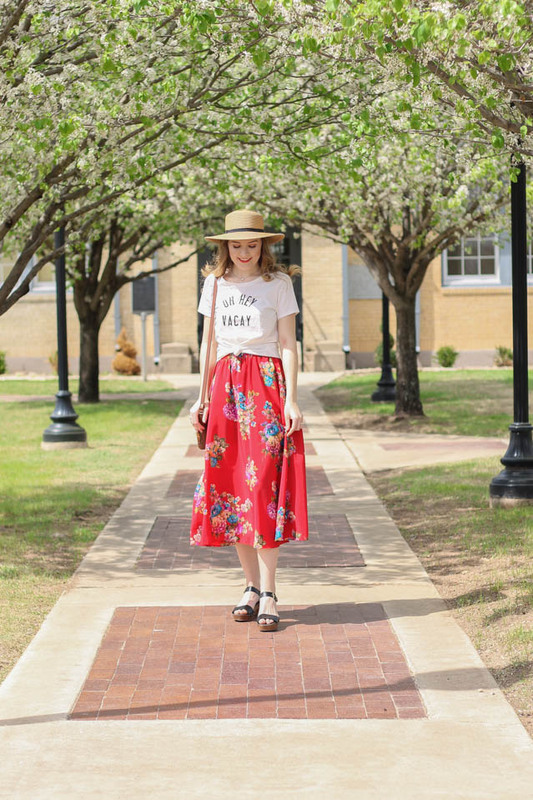 How do you like to style graphic Tshirts?